Just a quick story about a good experience I had in my shop today. This afternoon I spent my lunch break in my shop.That’s one of the really nice perks of working from my home office. Another benefit is seeing my kids for breakfast and dinner every day. So today my schedule and workload aligned and had an hour to myself to do some actual woodworking for an hour. This may have been the first hour I’ve had in my shop in two months. I need to work on some small saw benches for an upcoming woodworking show that I may participate in. The idea is to have a couple of multi-purposes benches that folks can use to try out tools like saws, molding planes, boring tools, etc. 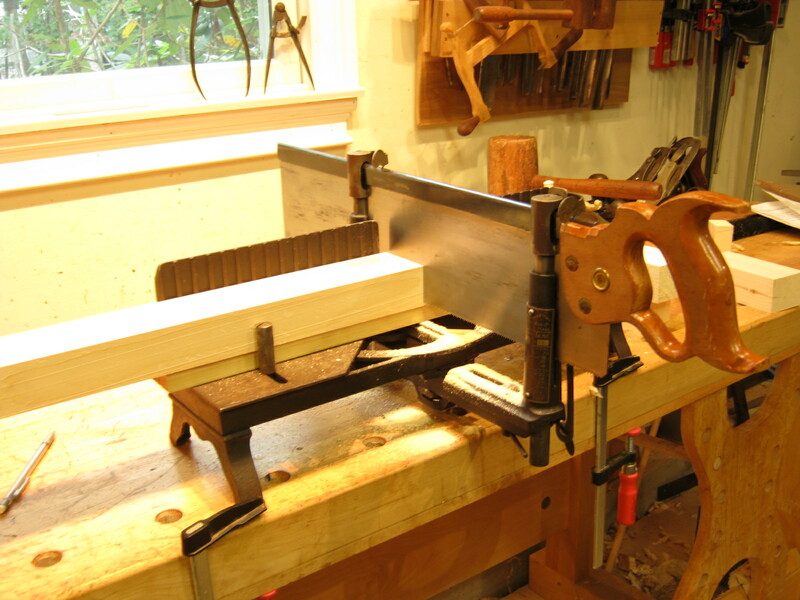 I’m basing my design on Chris Swartz’s saw bench. I have all the stock milled to the right dimensions and it was time to cut the legs to length. 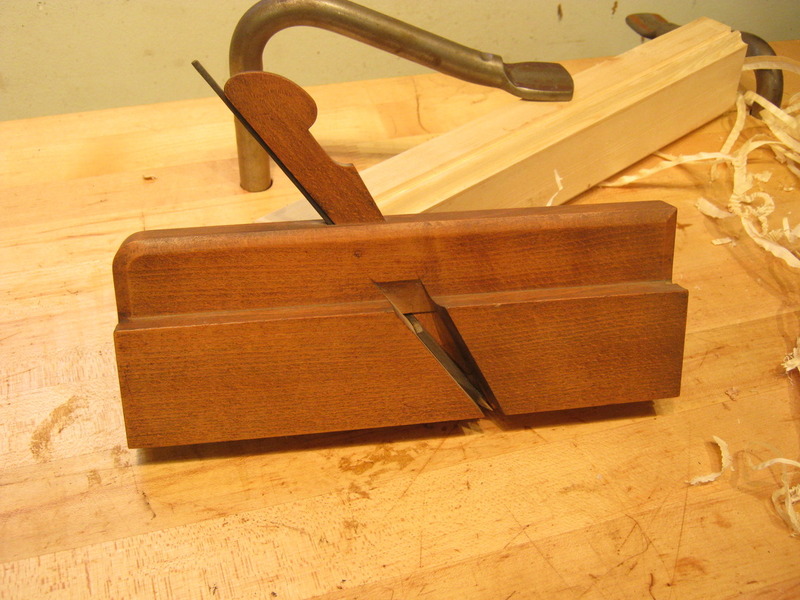 I pulled out my trusty Langdon Acme mitre box but swapped the stock saw, which has served me well but isn’t anywhere near sharp at the moment, for a Disston Jackson mitre saw I just got back from Matt Cianci. Matt’s a friend of mine and fellow saw geek. I scored this saw (which is almost completely mint with all its original bluing, handle finish and a mirror-like plate) up at MJD‘s last auction in Nashua. Matt picked out of few things from the auction lots I purchased that day and in return he took the Jackson home and sharpened it. It was virtually unused so it took him “all of ten minutes” to sharpen. 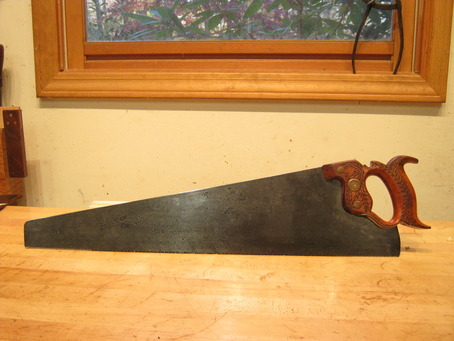 This past weekend I met up with Matt at a local auction and he handed off the saw freshly sharpened and ready to go. We did well at the auction, Matt scoring one of the nicest pre-Civil War Disston 7s I’ve ever seen, and I found an even earlier (possibly the earliest ) Disston at the tailgate sale. Those are stories for another day. 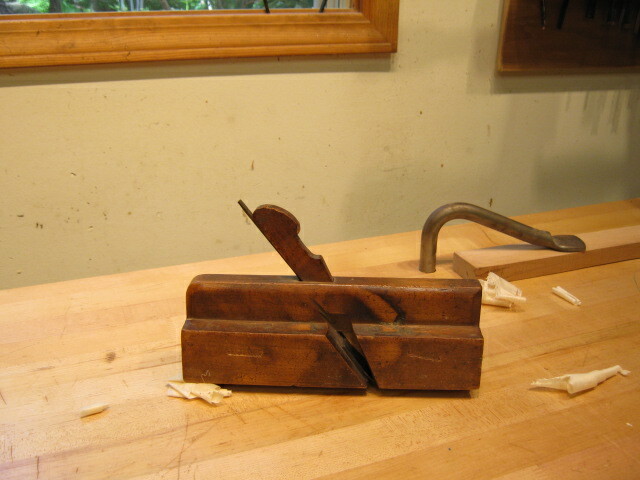 Back to today, when I loaded that Jackson in my mitre box and started to cut the legs to length. Wow. 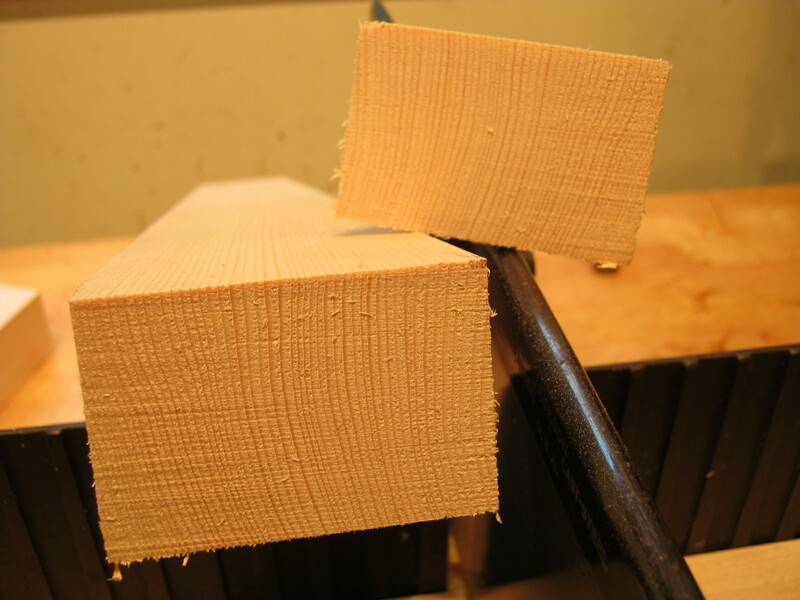 That barely begins to describe what using a truly sharp mitre saw in a quality mitrebox feels like. 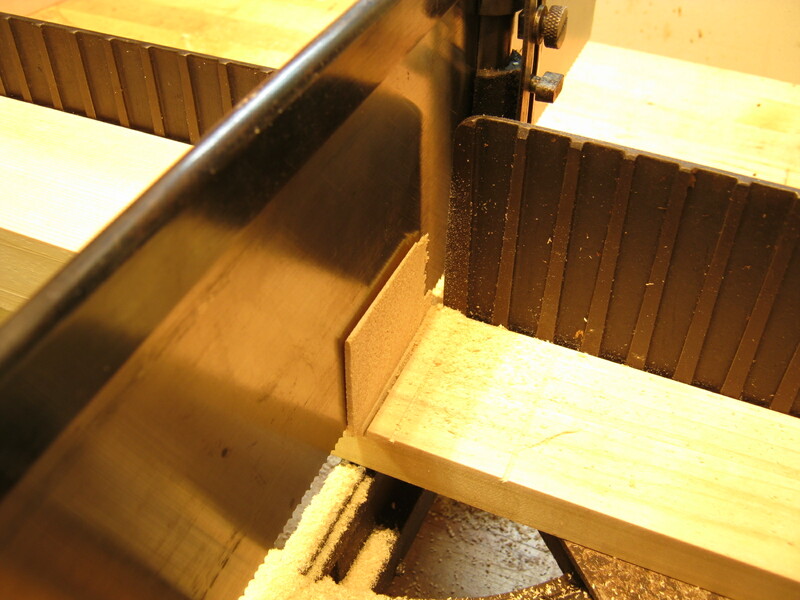 The saw ate through the 6/4 stock in no time, leaving tiny curly shavings rather than dust. It was amazing. I knocked out eight legs and four stretchers in just a few minutes. The saw left an almost perfect surface behind and was able to take thin cuts leaving strips of wood behind no thicker than the plate itself. It was fantastic. Matt is definitely one of the best saw sharpeners out there. He is one of only four people I will recommend you send your saws to or that I will drop-ship a saw to that a customer has purchased . I’ve been burned in the past by saw sharpeners who have come well-recommended but who have delivered substandard results to my customers. I guarantee you will be happy with Matt’s work. That’s it from here. Thanks for reading. I was sorting through my stash of molding planes, looking to pick out a few nice ones to put up for sale. I came across a nice deep but narrow roman ogee by A. Mathieson and Son. Mathieson was a prolific maker, and one of my favorites. Their planes are usually of very high quality and make excellent users. The plane I picked out was used, but well kept. A bit grungy, probably from tallow used to lubricate the sole. I could make out the marks where the former owner(s) hand rested in use. I like to find tools in this state- well used, but with visible signs of the former owner. I thought it was a really nice looking plane, but I have a similar roman ogee. I hemmed and hawed but eventually put it in the “sell” pile. 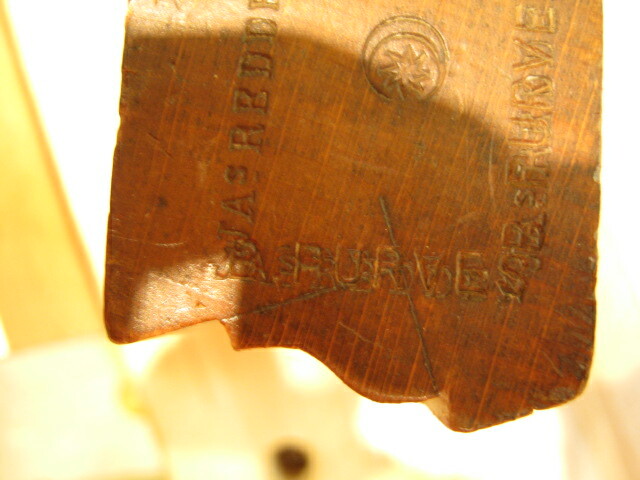 It was then that I noticed the owner’s mark, not at the heel or toe, but stamped in the side of the plane. “J. CLARK” Well, that clinched it! It’s not often you find your name stamped on a 100 year old molding plane! I’ve found planes with my last name stamped on them, and I have a couple of “W. CLARK” planes, but none like this. Author Joshua ClarkPosted on May 16, 2010 Categories Interesting Tools, Tools I UseLeave a comment on This One is a Keeper!